Food in bowls is all the rage, and why not? It makes it easy to serve a one-dish meal without someone asking about side dishes. I am the queen of making dinners that are only 1-2 parts. I love my food, but I also love my food easy. ;). 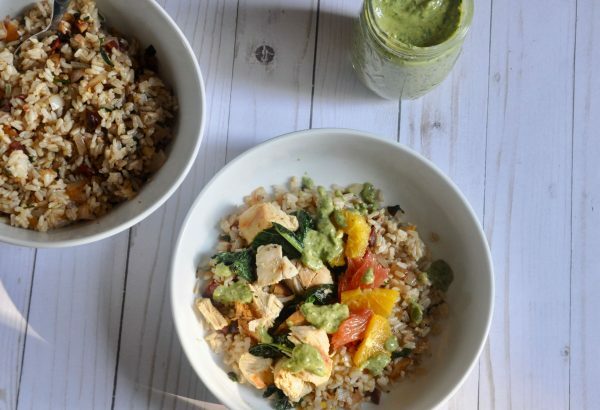 These citrus chicken bowls are delicious! These citrus chicken breasts are easy to make while the pilaf bubbles away on the stove top. 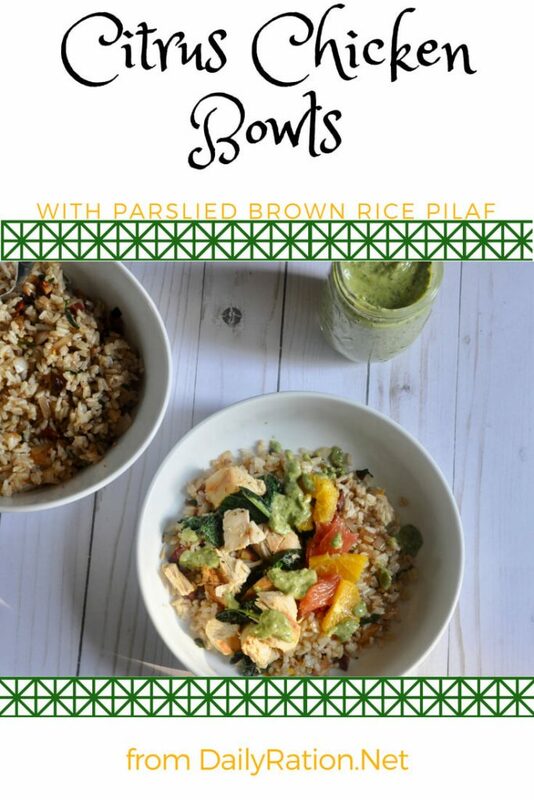 And let me tell you, bumping up the flavor factor in brown rice by adding herbs and squeezing in a few vegetables takes it from bland to bowl-you-over. It’s a crime really, to under-season your rice. So this dish is healthy, it’s a whole meal in one bowl, and it’s a break from the mundane. It has great flavor written all over it. Parslied brown rice pilaf on the bottom, fresh and bright citrus and chicken over the rice, and drizzled with another layer of creamy deliciousness in the herbed avocado dressing. Enjoy your recipe for citrus chicken bowls! Plan ahead for marinating time. You could put the chicken in the fridge to marinate in the morning and have it ready when you want to make dinner that night. Talk about convenient. You can also make the pilaf ahead of time and reheat it. Use a tablespoon or two of water if it seems dry. Get the chicken started marinating by combining the lemon juice, mustard, garlic, salt, pepper and oregano in a zip top bag. Smoosh it around until combined and add the chicken breasts. Press the air out and seal the bag. Refrigerate to marinate the chicken for 1 hour to a half day. Let it stand at room temperature for 30 minutes before cooking. Preheat oven to 350 degrees. Place the chicken, marinade and all, in a 9x13 pan and bake for 50 minutes, turning over halfway through. Check for doneness (165 internal temperature). While the chicken cooks, start the rice and dressing. Cook the rice in water according to package directions. While it cooks, saute the onion and carrot in oil in a large skillet over medium heat until tender. Add garlic and cook another minute or so until the garlic is fragrant. Be careful not to burn. Remove from heat and stir in the herbs, zest, salt and pepper. When the rice is finished, add it to the herb and vegetable mixture and mix well. Make the herbed avocado dressing by combining all the dressing ingredients in a food processor except the water. Pulse until well blended, adding small amounts of water in intervals to thin out to desired consistency. You may not need the entire amount. When you're close to finishing the chicken, saute the kale in butter in a large skillet. Cook, stirring occasionally until it begins to soften a bit. (3-5 minutes) Stir in the pilaf and orange juice, cooking and stirring until it's all heated through. Place the kale pilaf mixture in bowls. Chop the chicken and place on top the rice. Add chunks of segmented oranges and grapefruit if you're using them. 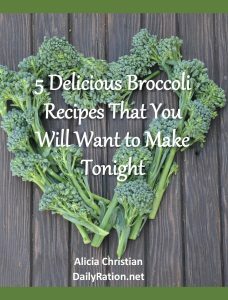 Drizzle liberally with herbed avocado dressing and enjoy warm!